Is The Koko Master Losing it? | ItuaLive! Is The Koko Master Losing it? D’banj is a man known by several names. Ghanaians may call him Mensah; Jamaicans often refer to him as Skibanj, while we here at home in Nigeria prefer Koko- Master but His real name remains Dapo Oyebanjo. D’banj, a stage name coined from a combination of his first and last name is indeed an enigma. He burst into the limelight in 2005 with hit tracks like “Tongolo” and “Mobolowowon” on his “No Long Thing” album and has remained in our consciousness with profundity ever since. He was able to carry the old and new generation of music lovers along, reminding us of Afro Beat legend-Fela Anikulapokuti- although his (D’banj) preferred musical instrument being an Harmonica as compared with Fela’s Saxophone. 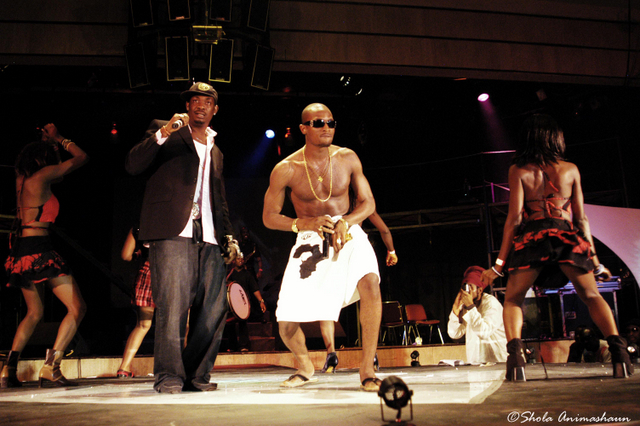 D’banj like Fela owns a charisma that lights the stage with an eruption of sexual energy. But unlike Fela, D’banj pocesses youthful playfulness that sends his audiences gasping for more. He has also successfully introduced double entendres into the Nigerian vocabulary. Words like “koko” (which can mean anything from “crux of a matter” to something else), “long thing”, and “kokoletts” are now used every day as though they have been in existence before independence. D’banj was born to a military artillery officer father and a church dignitary mother. He hails from Shagamu in Ogun state, south west Nigeria. Due to his father’s profession, he moved several times, within Nigeria and also to India as a child. Tragedy struck the family, when his elder brother, Femi died at the age of 17 in a plane crash. His brother’s death marked a turning point in his life as this endeared him to the harmonica which Femi introduced him to. D’banj who is signed with the Mo’hit record label (with Don Jazzy as his producer) has churned out music hit after hit. Songs like “Why me” (Run Down Funk U Up, 2006), “Igwe” (The Entertainer, 2008) may well be known as classics. His new single releases however may sooner be forgotten than remembered. Songs such as “Mr. Endowed”, “Scape goat”, and “I do this” which feature on his soon to be released album- “Mr. Endowed” have eruption mixed feelings among his fans. Some have alluded the records are nothing to write home about. These singles were released over a month ago and one would have expected that they would have burned the air ways but rather they have fallen below the standards that the Koko master himself has set. “Mr. 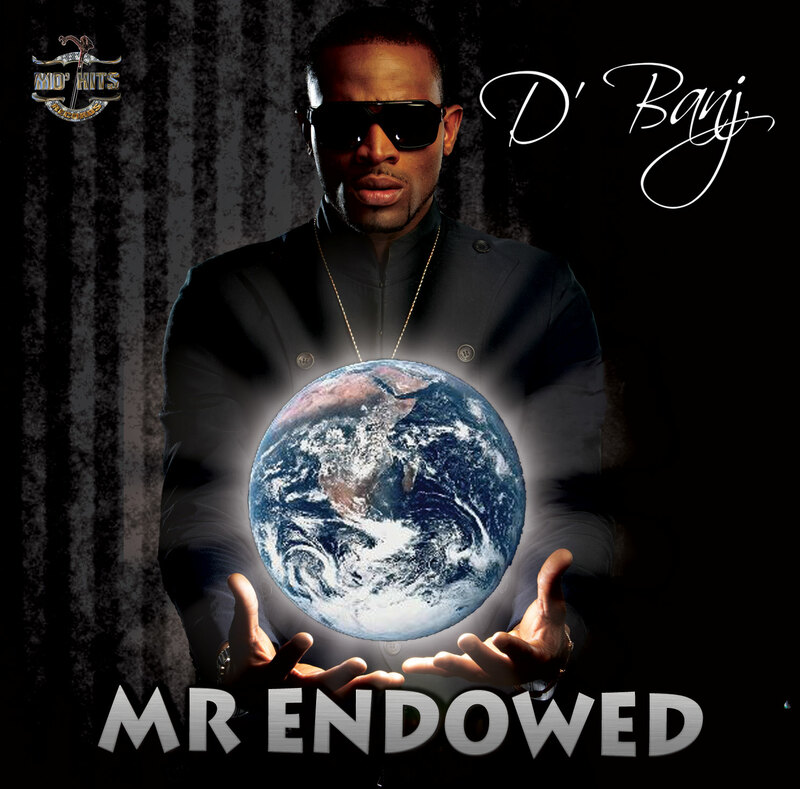 Endowed”, which is meant to replace “Ogbono felifeli” as the hit track on the album lacked the D’banj factor. It was simply flat. It was as though it was made for a foreign audience. The song would have been an outright disaster had Don Jazzy not lent his voice to up the ante. The second release, “Scape goat”, a follow up to the successful, “Fall in love” (Also in the Entertainer Album) neither sounds convincing enough for any lady to enjoy and seems banal in lyrical content. The third single, “I do this” is by far the most disappointing song I have ever listened to from D’banj. He simply was not at his best with these songs. Casting our minds back to his previous albums where songs like, “Tongolo”, “Olorun maje”, and “Kimon” set the air-waves on fire within weeks of being released, the “forerunners” of his Mr. Endowed album have not been well received. A number of arguments have suggested that the Koko master has decided to explore other areas of the D’banj brand. D’banj has earned himself a number of endorsements. He is the presently the new face of Chris Aire in West Africa, he is also a Glo Mobile ambassador and has been appointed by the United Nations as the first Nigerian Ambassador for peace. D’banj has also shown he has a heart for philanthropy by given back to society. He has given about $60,000 (USD) in scholarships and also donated about 1 million naira to an orphanage in Lagos. D’banj who is also a successful entrepreneur as his Koko Lounge (a hang out) in Lagos Main land has managed to de-populated clubs on the Island. He partnered with Nigerian Pay TV Company (HITV) for “Koko Mansion” and is he is presently flirting with the idea of a clothing line for men. The D’banj brand has also caught the attention of politicians. D’banj was the artiste chosen to usher President Good Luck Jonathan at his formal declaration to run for the 2011 presidential elections. D’banj along with his Mo’hit crew (who have achieved a sort of cult status) have also broken barriers by being the first Nigerian music group to stage a concert in the much coveted O2 Arena in London. With all these successes mentioned, D’banj must know that music is the fulcrum on which these “achievements” rests. If that (music) fails, every other thing may begin to crumble. He should borrow a leaf from Artiste like Jay Z, 50 Cents, and P.diddy who though have made fortunes from franchises and business other than music, have continued to give their fans the best they can offer with their music. In the recently held Hip Hop Music Video Award 2010 (HHMVA), Wande Cole, walked away with 5 awards while D’banj went home empty handed. While winning awards may not be the truest test of an artiste capability, it gives them a sense of credibility and proves their relevance in the music society. A typical exam would be Bono, who is the lead singer of the rock group U2. He has been more involved in philanthropic activity around the world, but whenever U2 record an album they always seem to sweep home the Grammy’s. D’banj himself being a recipient of several awards including the MTV Europe Award (2007) and the MTV Africa Music Award (2009) would agree to this. Everyone would agree they could hardly skip any tracks on those albums. The Koko Master has his critics, but he is one artiste most Nigerians are proud to have. He has proved over time to be the Entertainer he claims to be, but as far as being Endowed, he may have to keep that secret to himself.